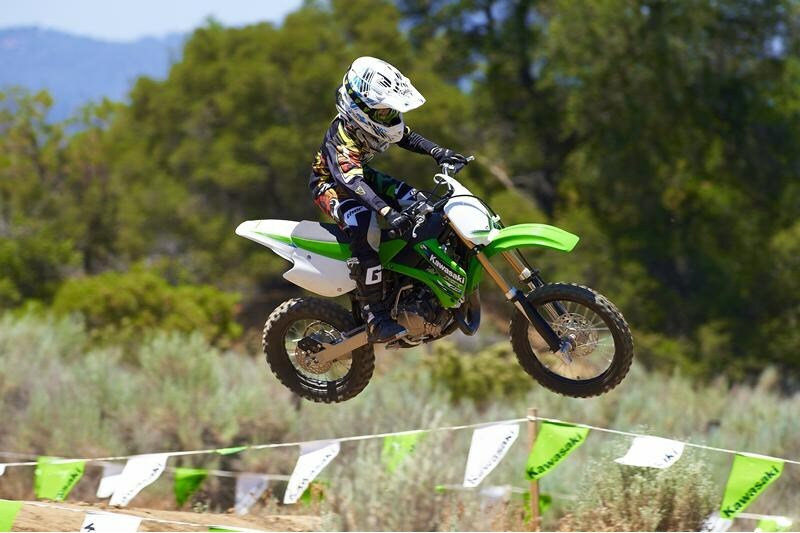 When the time comes for every budding motocross racer to decide that being a winner is why he or she races, then the next step is obvious. 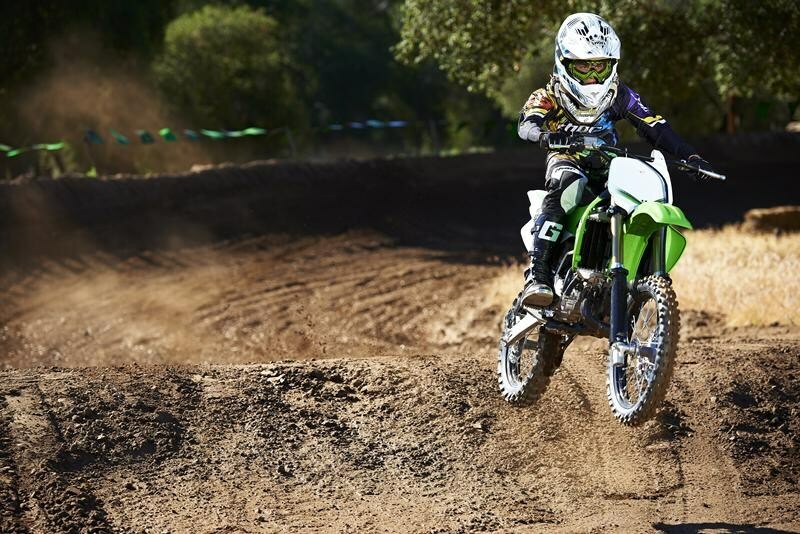 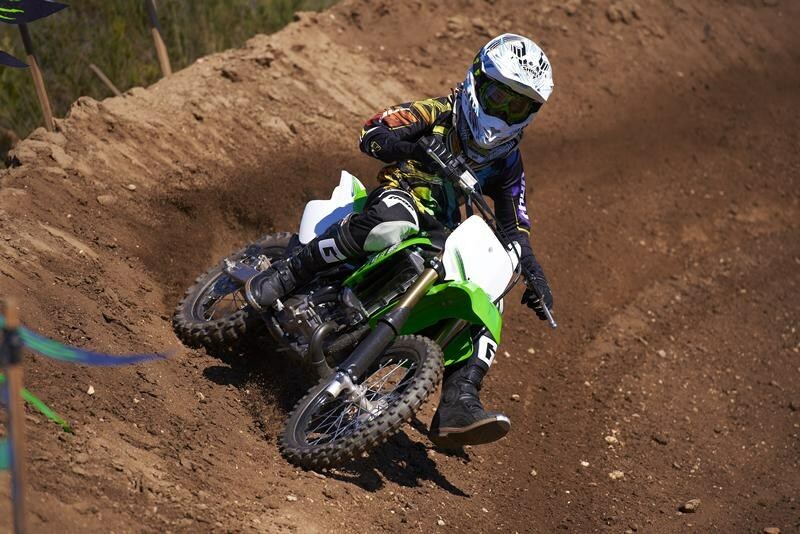 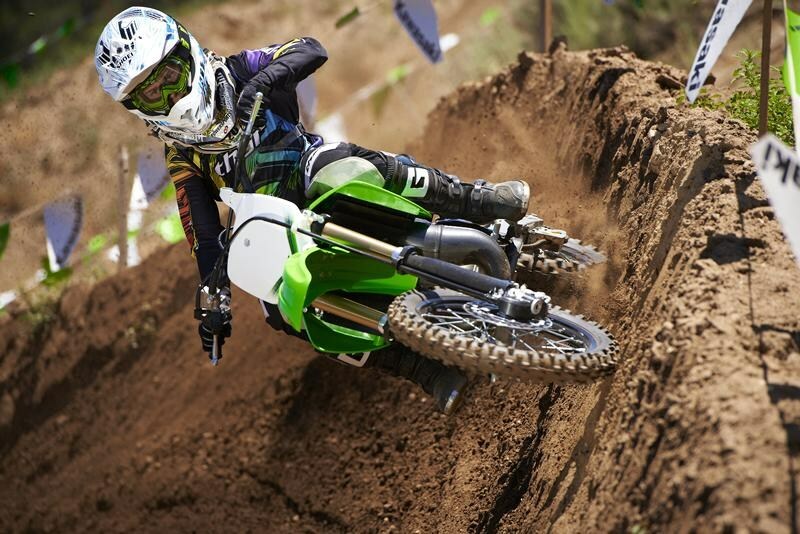 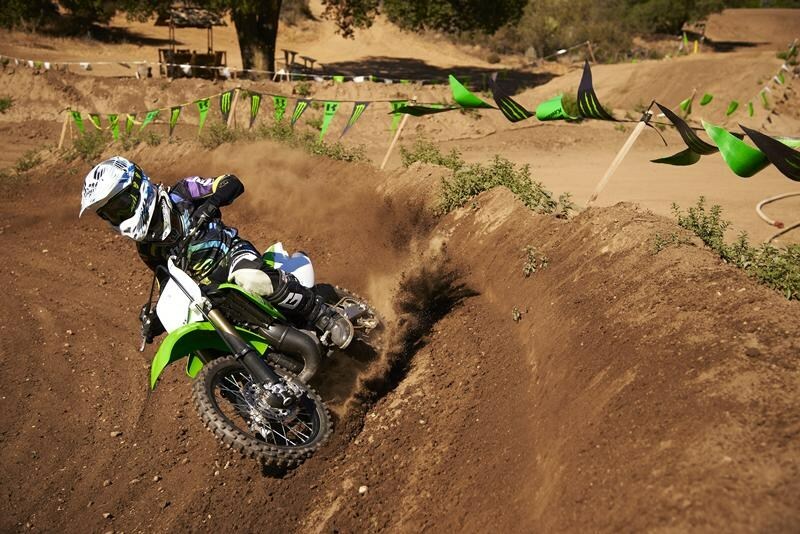 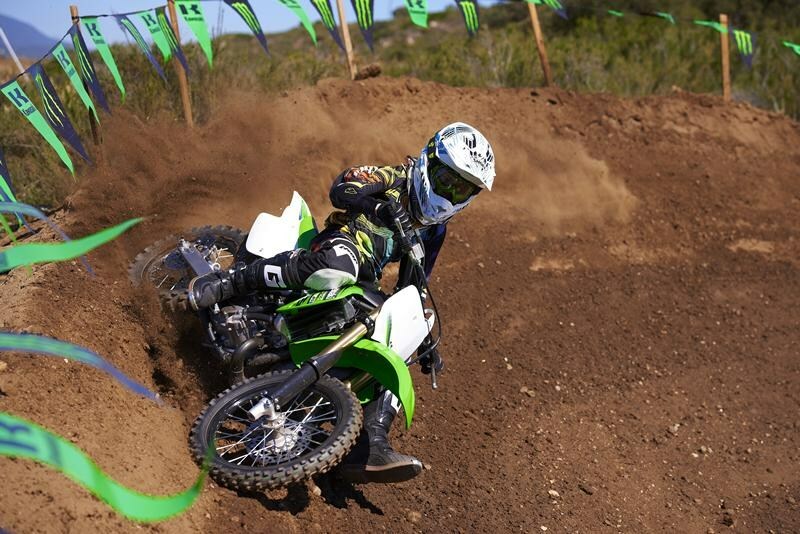 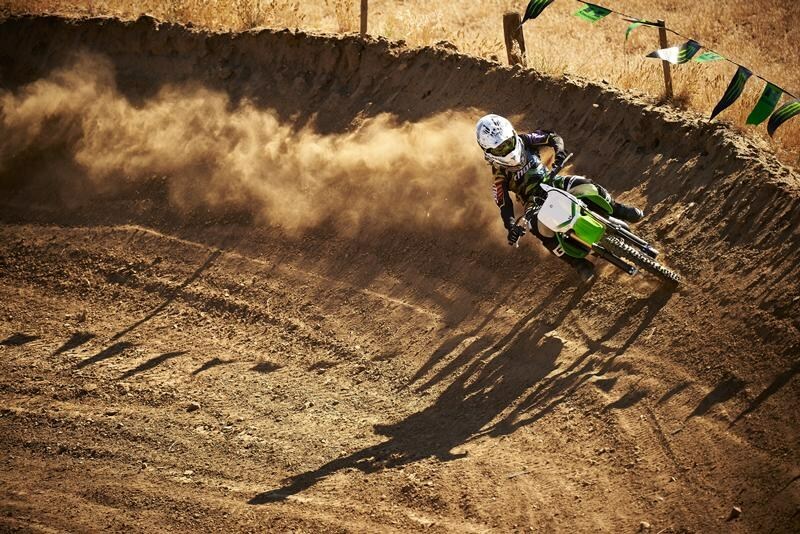 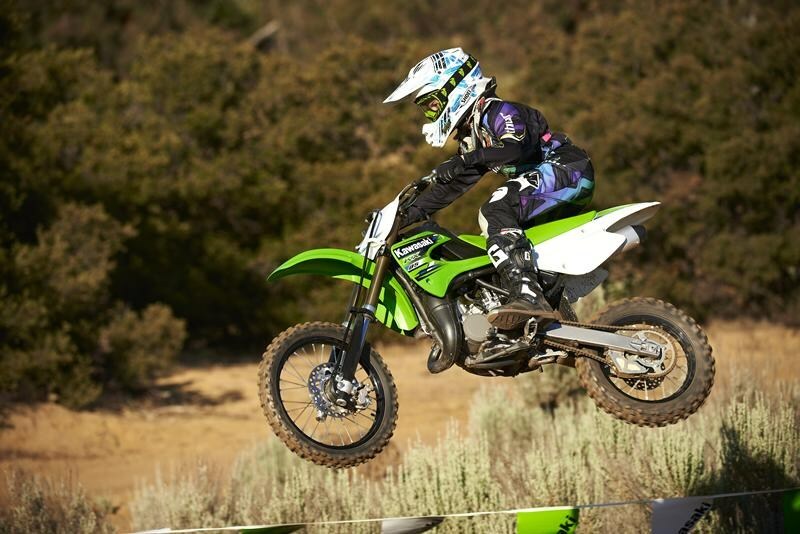 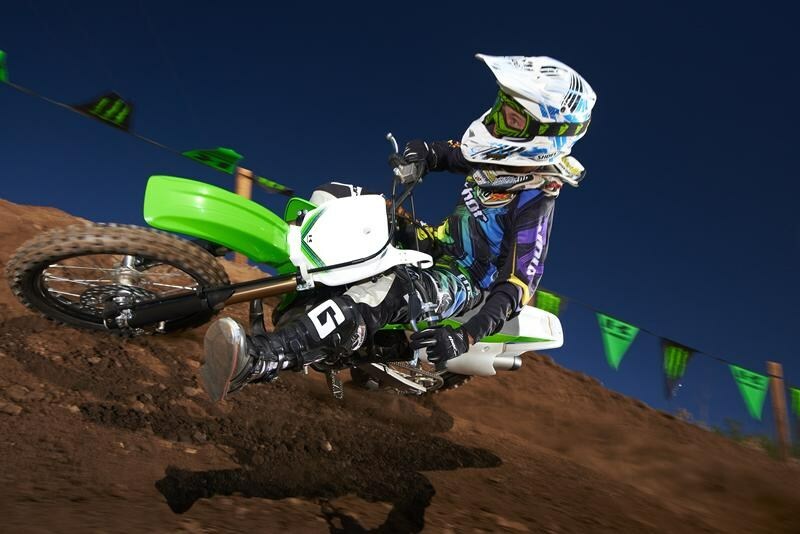 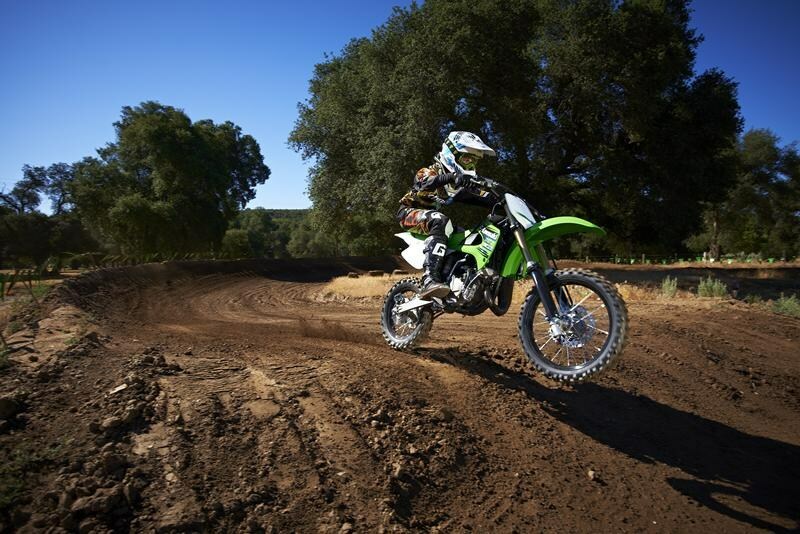 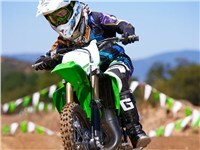 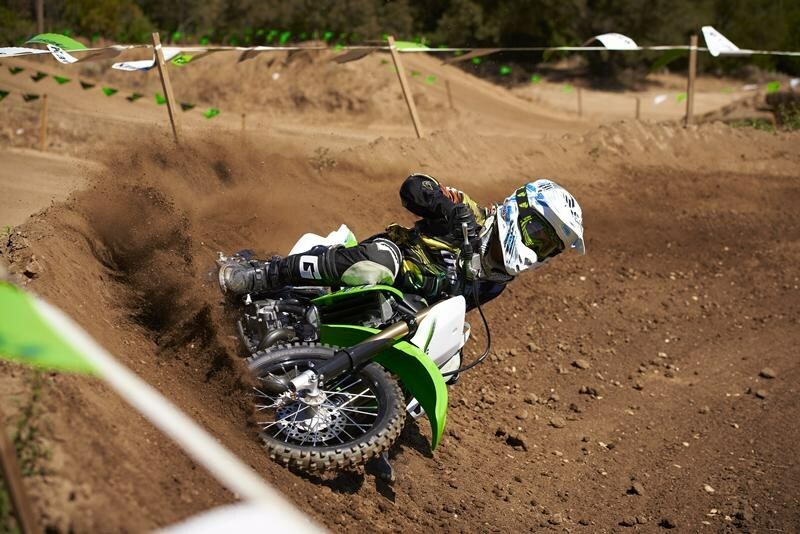 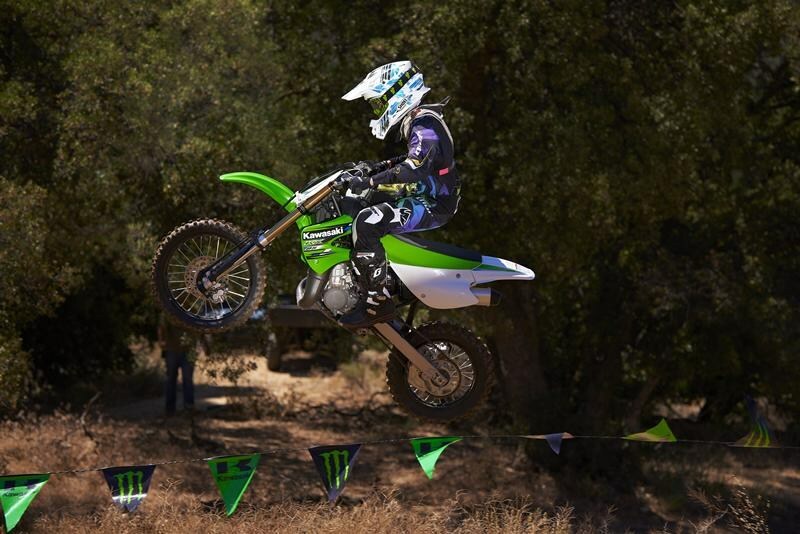 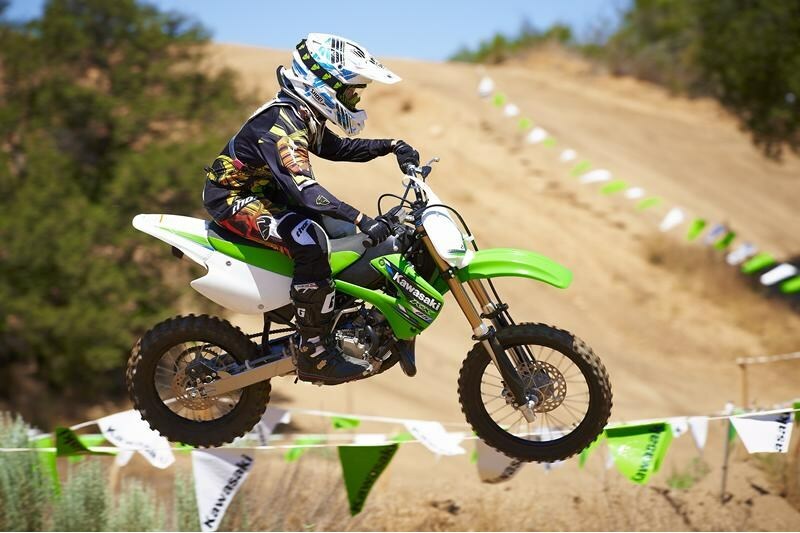 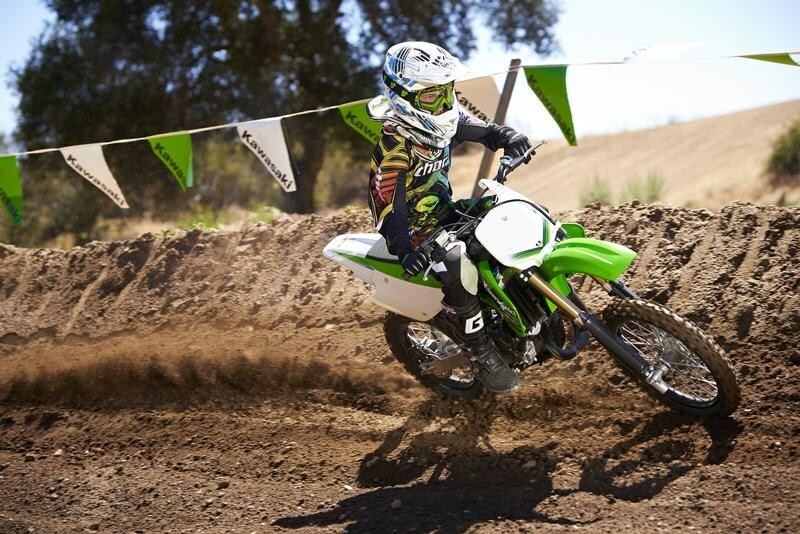 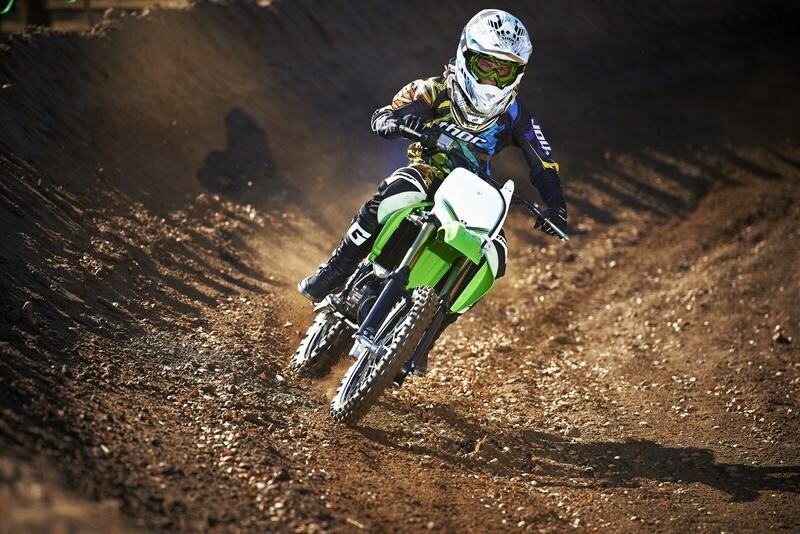 Throwing a leg over the KX™ 85 not only carries Kawasaki’s motocross heritage with it, but speaks volumes about how serious the racer is about taking the checkered flag. 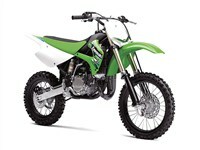 27 degrees / 3.5 in. 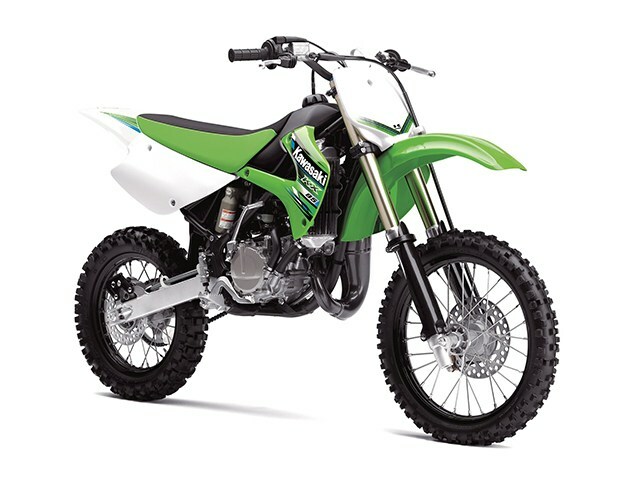 Uni-Trak® single-shock system with 4-way compression and 16-way rebound damping, plus adjustable spring preload / 10.8 in. 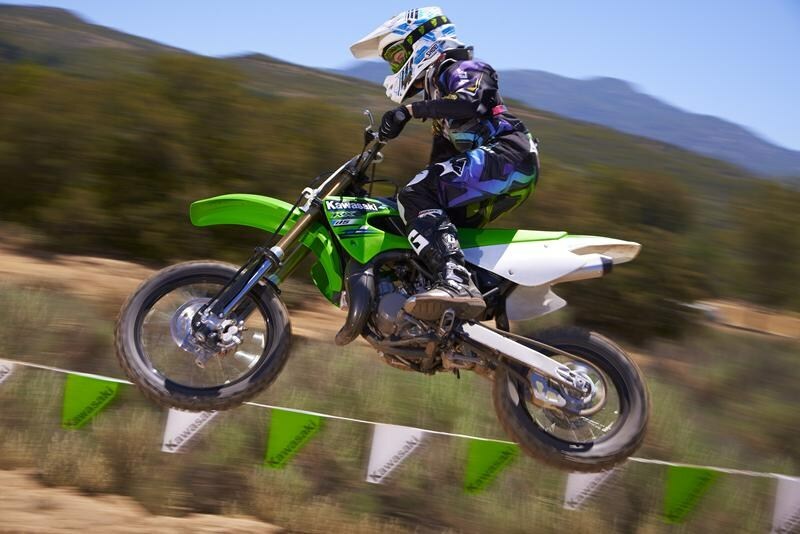 Wide, steel footpegs offer added control and strength.